Truth by Kbaig: India's Ongoing Ceasefire Violations and Threats to Divide Pakistan into Four Parts! India's Ongoing Ceasefire Violations and Threats to Divide Pakistan into Four Parts! Subramanian Swami is an important leader of Indian extremist party BJP and economist of India. He is famous in India for his enmity against Islam, Muslims, and Pakistan. Whether it is torture of Hindus extremists over Muslims or propaganda of breaking Pakistan, he has never been reluctant in expressing his extremist views. From his talks, it does not seem that he is an educated person; people consider him as Hindu purohit or cleric due to the swami attached with his name. he is the only economist from Asia who was specially invited to participate in the UNO’s meeting for development at Geneva so that financial cooperation between developing countries can be chalked out. A statement of this Indian economist of his interview with ANI is rapidly being shared over social media in which he is talking about the integrity of Pakistan. The Said clip has been shared by Indian secret agencies in India and Pakistan as a part of Indian propaganda war against Pakistan linked with the 15 years old terrorism in Pakistan via Afghanistan by India. BJP leader Subramanian Swamy threatens to break Pakistan into four pieces. 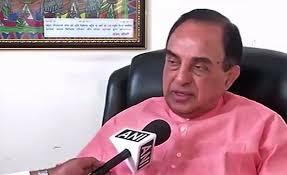 Subramanian says, “Pakistan is a fool, we were aware of this before that, why cry over it. (Why he said that we will discuss it later). We have to teach a lesson to Pakistan. We have divided Pakistan into two parts in past and now we will create 4 parts, India should prepare for this. I had said before that China should be taken care of; although we have done this to some extent. Due to India-China negotiations, China has started talking against Pakistan as well. As soon as our army will be ready, we will attack Pakistan and end the slavery of Sindhi, Balochi, and Pakhtuns. After this Pakistan issue will be dead forever. So what is the use of crying?” On this point, ANI’s representative’s question has been added into the clip in which he is saying that “by March or April 2018, we will be ready and attack Pakistan for disintegration into four parts”. Subramanian has been giving such threatening statements against Pakistan. However, the current interview was about Indian army’s unprovoked shelling over civilians of Pakistan on LoC and befitting reply of Pakistan army over Indian check posts killing numbers of Indian soldiers. That is why Subramanian was, again and again, saying that there is no need to cry over it. Why Indian army is violating ceasefire of 2003 and targeting Kashmiri Civilians of Azad Kashmir only? This is also astonishing that why India is hiding numbers of Indian soldiers killed in reciprocal action taken by Pak army. On the one hand, India is torturing Kashmiris in Indian Held Kashmir (IHK) and violating human rights. India imposed curfew over the Majalis (gatherings) and processions commemorating the martyrdom of Hazrat Imam Hussein (AS). Indian state terrorists used state terrorism, baton charging the participants of these processions. The reports of Indian tortures over these processions by International media, Muslims all over the world reacted to it. In order to divert their attention, Indian army started shelling over LoC even on the day of 10th Muharram in which on 02 October Muhammad Din was martyred while including a woman four were injured. Before this on 29 October 2017, India has targeted civilians in the same place in which including a woman two civilians were martyred. 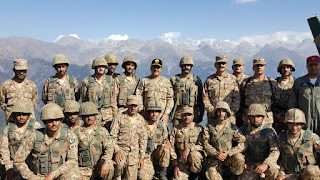 Pakistan army’s Subedar Nadeem along with other soldiers reached there to help civilians to evacuate the injured and move dead bodies because coward Indian soldiers were targeting dead bodies as well. In such situation Subedar Nadeem fulfilled his professional and religious duty to help civilians and face bullets of coward Hindu terrorists, he got martyrdom while three other soldiers were injured. Extremist Hindu mind exploited martyrdom of Subedaar Nadeem for their enmity and propaganda against Pakistan over the Internet and social media with the support of traitors within Pakistan that ambulance was not provided for the dead body of the martyr and no officer from Pakistan army participated in his funeral. 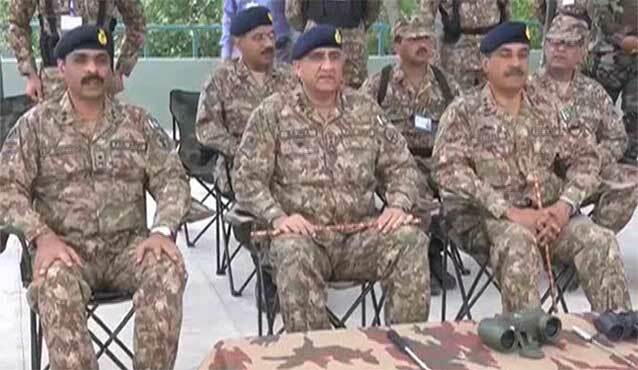 Pak army that has a proud record of reaching the affected area ahead of anyone else whether it is flood, earthquake, any other natural calamity or terrorist attack by the enemy; how can such army’s officers including Chief of Army Staff avoid funeral prayers of its martyr. Pakistan army is facing war for last 15 years and has lost more than 8000 soldiers and officers. From Platoon Commander to Corps Commander when every commander is leading against the enemy; how the command of such an army can stay behind in the funeral of the martyr. As soon as the reports of martyrdom were received, Corps Commander of 10 Corps Lt. General Nadeem Raza arrived at the spot of the martyrdom, appreciated the courage of the departed soul to help civilians against Indian terrorism. Moreover, he appreciated the befitting response of the soldiers present in the check posts. Afterwards, he went to Jehlum and attended the funeral of the martyred Subedar Muhammad Nadeem. This is not something new, whether it is COAS Qamar Javed Bajwa or his predecessors, other Generals of Commanders; every soldier of Pak army is sure about them that in case of any hard times, they will be always with them. This is the difference due to which Indian soldiers deployed in IHK are suffering from various psychological problems. Indian army had participated in Kargil war 2 decades ago and the way Indian army had to face defeat, this is about to come in the video of the Major (retired) Gagandeep Bakshi. 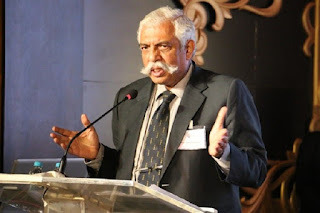 Major General GD Bakshi was deployed in the Kargil after the end of the war so that he can restore the morale of the defeated Indian soldiers. 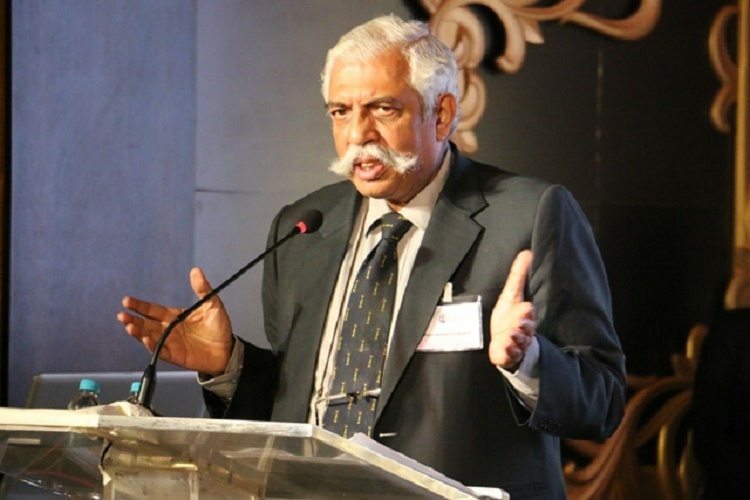 General Bakshi has not only mentioned the way Indian was badly defeated by Pak army but acknowledged that India was badly defeated. Indian soldiers used to hide from Pakistani soldiers. Pakistani soldiers to get out of the bunkers, stand over the roofs of the bunkers, taunting Indian soldiers to fire on them and Indian soldiers kept silent. 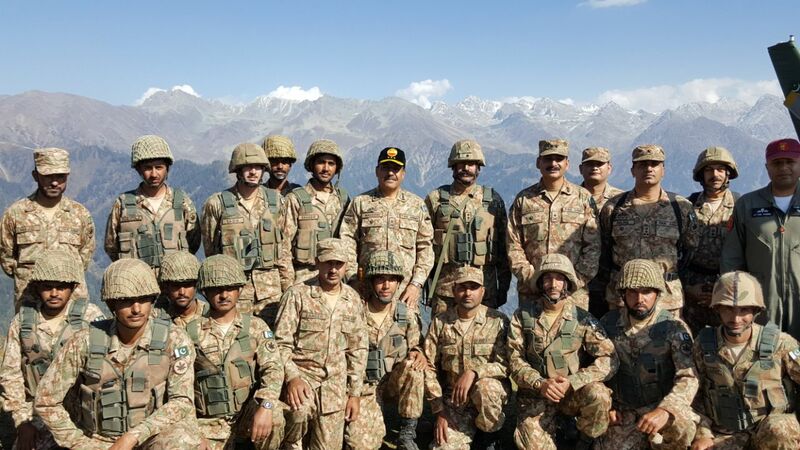 They did not fire on the Pakistani soldiers as they feared that by firing their hideouts will be pointed out and neutralized by Pak army. According to General Bakshi, every Indian soldier wanted to be transferred out of Kargil. 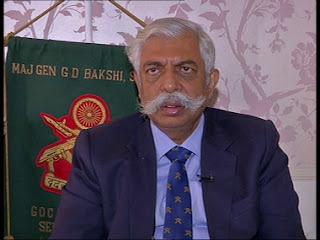 General Bakshi’s thoughts are not different from Subramanian. He wants to disintegrate Pakistan into four parts. He gives the message to Indian youth that Pakistan was divided into two parts in the past and now this is their duty to disintegrate Pakistan into four parts. But he also accepted the insult that Indians has to suffer in Kargil as well in his lectures, TV talks and writings. Everyone should know that after Kargil war Indian army has no practical experience except firing bullets at the unarmed Kashmiris. There is nothing more insulting for any army to use its professional power against unarmed protesters protesting for their freedom. Oh yes, the Indian army has another experience of unprovoked mortar shelling over civilians across the LoC, as retaliation numbers of Indian soldiers have been given tickets to hell. India will never disclose their number. Let's come towards Balochistan. India is openly providing shelter to Baloch insurgents. How India is supporting terrorism, target killing, murdering innocents etc? Details of all these terrorist activities have been disclosed by Indian state terrorist and RAW’s officer Kulbhushan Yadav. Leaving confessions of Kulbhushan aside, the Indian army has never tried to hide its conspiracies against Pakistan. Indian Prime Minister openly threats to disintegrate Pakistan in his speeches. Despite his enmity against Pakistan, rulers of Pakistan have established their personal contacts in the name of restoration of relations with India. Politically Modi has never been given the response to his anti-Pakistan speeches. This criminal silence of Pakistani rulers has encouraged India that is why the list of participants in conspiracies against Pakistan is growing day by day. The result is that all the tortures and atrocities committed by Indian army in IHK are being blamed against Pakistan army in Balochistan n the seminars and conventions in Geneva, London, New York and Paris. The irony of the fate is that in all these anti-Pakistan conventions and seminars, ex-Pakistani ambassador to USA Hussein Haqqani, pro-Indian elements from Pakistan, persons enjoying power in Pakistan on the basis of nationalism and those serving in NGOs participate as well. All these traitors tell the fiction of Pak army’s tortures against Baloch people paving way for the Indian propaganda and conspiracies against Pakistan. In contrast to this, the situation of Pakistan’s diplomacy is that despite the videos of such anti-Pakistan gatherings going viral our Foreign Ministry is singing the chorus of friendship with India. All those countries where such conventions are being held are responsible to ensure that their land is not used against any member of UNO especially under the Geneva convention. This is the duty of the Pakistan’s Foreign Ministry and the ambassadors serving in those countries. They are not deployed there for their personal enjoyment or tourism. They are being paid from the money of the taxpayers and all the facilities they enjoy are not for the criminal silence over the conspiracies against Pakistan. No one is unaware of the Indian violations of Human Rights against Kashmiris. If Pakistan is not ready to raise voice against the conspiracies being hatched against Pakistan than why should other countries forego the financial interests linked with India? The recent conspiracy of Hindu India is the establishment of the Hind-Baloch Forum in India. The first meeting of the said forum was held on 20 June 2017 in Howard Plaza Hotel of Agra, UP. The title of the gathering was “How Indians can play a role in the freedom of Balochistan”? 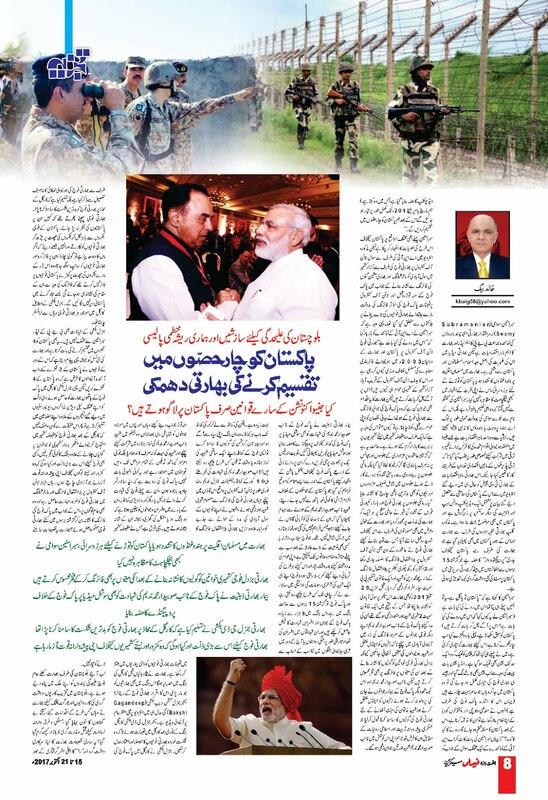 For propaganda against Pakistan, Indian retired Major General G.O. Billujee, Director of RAW, Colonel RSSN Singh, India Defense analyst Karpesh, UP leader of RSS Gobind Sharma, and Aaj TV’s bureau chief to New Delhi participated in the said forum. Those who were invited to speak against Pakistan, their Identity and pictures were not disclosed as it was claimed that they have life threats on return to Pakistan. The seminar was arranged by the President of Hind Baloch forum Pawan Sinha and General Secretary Swami Jitendra and Saraswati. The goals of the seminar can be easily understood from the agenda of the seminar. In the seminar, Indian rulers were criticized for their inactiveness while Indira despite being a woman played the pivotal role in the disintegration of Pakistan. Indian documentaries over 1971 were shown as well to the participants. The numbers of Hindus living in Balochistan were shown as well who were forced to flee to India due to threats from Pak army. America was criticized for providing fighter air crafts to Pakistan used by Pakistan Air Force against the Baloch people by the organizers of the seminar as the fictional propaganda of rapes of thousands of Eastern Pakistani women was launched. 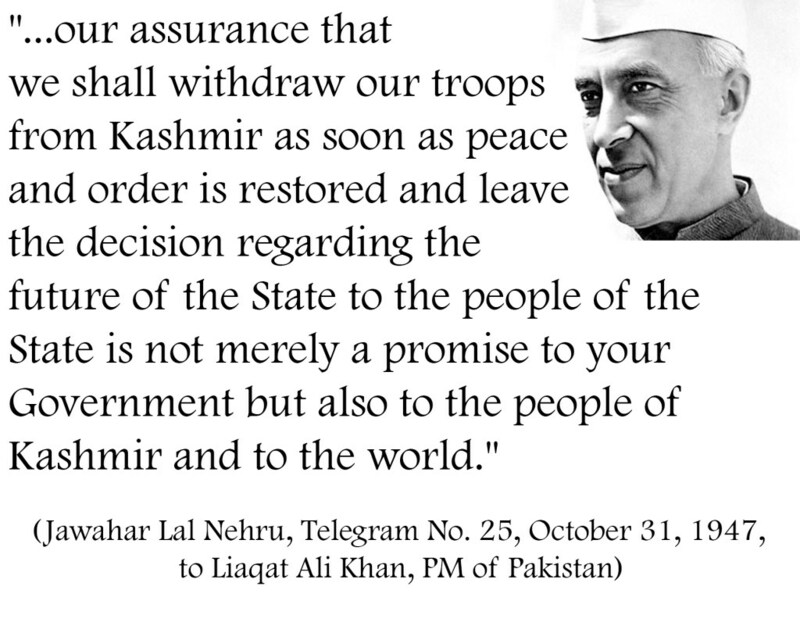 In short, all those inhuman and terrorist acts committed by Indian army in IHK were blamed upon Pak army. These allegations were presented in the Indian media as a propaganda discussed them for more than a week that why India is reluctant to take any steps for the freedom of Balochistan. In these propaganda shows retired Indian Air Force officers were invited to give their opinion that how Indian Air Force may save Indian assets in Balochistan from the bombardment of PAF. In the way, Indian retired persons of IAF made their claims it seemed they are reading from the script of Indian movies. The question is that when India is openly involved in the terrorism in Pakistan and propagating her conspiracies against Pakistan in the form of seminars than why Pakistani rulers are silent over it? Why do not they establish a forum on the more than a dozen freedom movements going on in India? Why Pakistan did not help these oppressed people? If only we look across the border, the freedom movement of Khalistan is once again coming at its full swing. The leadership of Khalistan freedom movement living in Canada and America has asked for moral support from Pakistan even if Pakistan does not want to support them practically. But Pakistani media and rulers have always discouraged them as in the past Pakistan played the pivotal role in crushing the Khalistan Freedom movement despite knowing that in 1971 India disintegrated Pakistan into two parts. Now India is actively involved in terrorism to promote Sindhu Desh, Greater Balochistan, and Greater Pakthunistan. In contrast to this our traitor rulers not presented the lists of Sikh leadership struggling for freedom of Khalistan but also proudly told the nation that according to Geneva convention no country has the right to play the role in the disintegration of the other country. All the rules and regulations of Geneva convetion are applicable to Pakistan only? 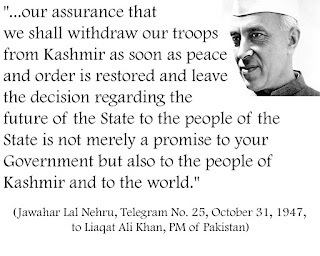 Was not it possible for the Pakistani rulers to get written guarantee from India while handing over the lists of Sikh leaders that India will not be involved in any activities and conspiracies against Pakistan and if India did so than Pakistan will be free to support freedom fighters in India? Even if India has signed any such deal, India would not have stopped her conspiracies against Pakistan. The elements in Pakistan who get all the financial benefits, respect from Pakistan but sing the chorus of India; they blame Pakistan army for all the activities of the India. These traitors are present in media, industrialists, politicians, teachers etc. they are blind to the martyrdoms in IHK in the hands of Indian army on daily basis. They blame Pakistan army for the India-Pak wars. They should think that if Hindu has been the friend of the minorities than why would Quaid-e-Azam have needed to demand a separate homeland on the basis of Two Nations Theory and remain steadfast to it? Sikh would not have been feeling ALAS that they did not demand separate Khalistan as Pakistan did. Assam, Nagaland, Tripura etc Hindu states of India would not have started the struggle for freedom from India. Maoists would not have started freedom movement. These pro-Indian elements of India should be aware that they have an identity, respect, social status as author, poet, doctor, industrialist, trader, politician etc due to Pakistan. They should visit India themselves and see the condition of Muslims. The village of Muslims I the District Muzaffar Nagar of Uttar Pradesh consisting of 80,000 persons is still in camps. According to Indian media in the riots of August 2013, more than 128 Muslims were killed, hundreds of Muslim women were kidnapped and went missing. These riots continued for the three days and Indian security agencies took action when it was threatened that riots would spread in the whole India. After this for 20 days curfew was imposed in Muzaffar Nagar which was only for Muslims while Hindus were at large. In all such tragedies law enforcement agencies always support Hindus. Courts have failed to serve the justice. The criminals involved in the massacre of Muslims have not been identified yet and will never be. The victory of Hindu terrorists in 2014 elections have taken away all hopes from Muslims. Said tragedy is not from 18th century nor it happened in any remote tribal area. Has anyone from Pakistan condemned this tragedy? We always want the happiness of India. We have failed to punish the terrorists despite being caught red-handed and their confessions. Even if someone was sentenced punishment our politicians sent him to India with respect and protocol.